Palmerstown Community School | Adult Education Evening Courses. The next term will start towards the end of January 2017. 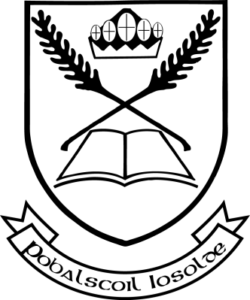 Palmerstown Community School provides a variety of evening classes on Tuesdays and Thursdays with something to suit all tastes. We aim to provide quality classes with the best tutors in a relaxed and friendly environment. So whether you want to learn a new skill, get fit or get out of the house and meet people we have a class for you. This year we are delighted to be working in partnership with The Open College to provide SNA QQI level 5 and Care of the Older Person QQI Level 5. We operate on a self financing basis, classes will run when the minimum number of students is reached to cover the cost of the class. Fees are non-refundable, except in cases where the class doesn’t run. Perfect for those who wish to find out more about a career in Counselling or those who want to learn the skill. 2 modules covered at a minimum. Computer Basics, Word, Excel. Basic level of conversation for use in everyday situations and on holiday in France. This French Beginners course is taught by a native speaker. Learn the basics and gain confidence to use the internet, send emails and create documents. This Basic Computers course will introduce you to lots of interesting internet sites and services in a relaxed class environment. Learn Italian with our experienced tutor who is a native speaker.Students love this class! Revision Leaving Cert. Maths (Ordinary Level) course covering key topics. Each session will feature theory first followed by practice, helping you to build your confidence in a supportive environment. Maths for living. Learn about budgeting, taxes, payslips. Tailored to your needs. Learn about the issues that affect teenage mental health and how to support teenagers in this interesting and relevant course suitable for parents, carers and relatives and those who work with teenagers. Colour mixing and theory in a friendly relaxed atmosphere. This course is for absolute beginners in painting. Students provide their own materials - please contact Adult Education for further details. Pilates helps in keeping fit, works on core muscles and leaves you feeling relaxed, mindful and toned. An Introduction to Psychological Trauma in School Students. Develop a better understanding of why some teenagers may be experiencing behavioural and academic difficulties. Learn to speak Spanish with a native speaker. Friendly atmosphere, lots of opportunities to practice your new skills. Improve your Spanish with a native speaker. Lots of opportunities to practice your knowledge in a relaxed atmosphere.